Get $200 in FREE Gifts! This Is A Special Bonus Offer! I am very proud of this book and very excited about the added management success it will help the rental owners achieve who use the 100 forms and tips contained in it! 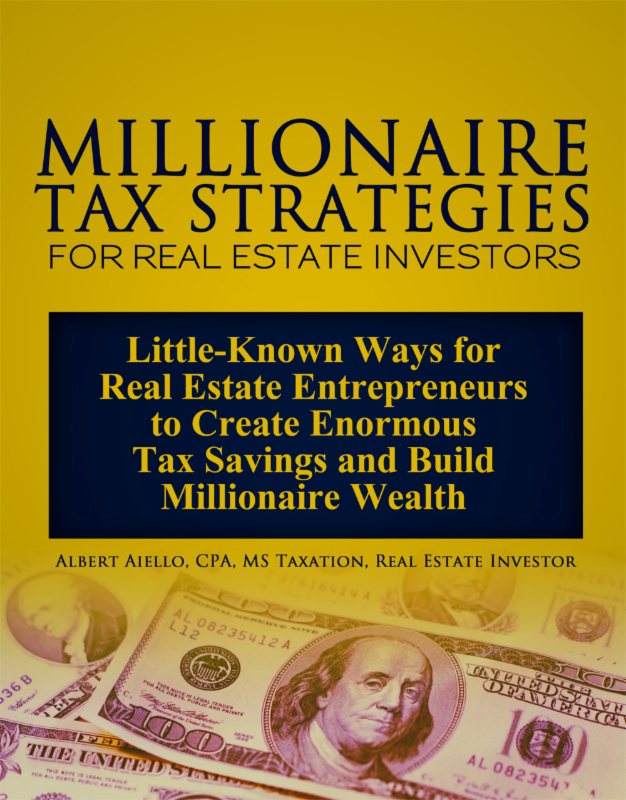 And if you are even thinking about becoming a real estate investor, you definitely need to order this book now. Read what a couple of well know real estate writers had to say about The Landlord's Kit! "If you own residential rental houses or apartments, or want to someday, you're going to profit from reading "The Landlord's Kit" by Jeffrey Taylor. Known as "Mr. Landlord" for the superb monthly newsletter he has published for more than 15 years, Taylor reveals his profitable management secrets in his new book... I rate this superb book a 10! (out of 10)"
Robert Bruss, nationally syndicated writer. Click here to read the full book review of Robert Bruss, as it appeared in numerous newspapers nationwide including the Los Angeles Times. "Good forms make the good landlord a better landlord, but they require a lifetime of writing and refining. Now comes Mr Landlord, Jeffrey Taylor, to share his many good landlording forms developed over his lifetime for all of us. Bless him!" Leigh Robinson, author of Landlording. Here Is The Special Bonus Offer! I want to make you an offer too good to refuse. 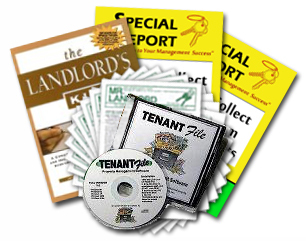 Once you purchase your copy of "The Landlord's Kit", we are going to GIVE you a total of 11 special gifts valued at $200 including 10 free special real estate reports (see the list of report titles below), and a $100 discount off registration to our next Annual MrLandlord's Convention and a exclusive book autographing seesion only for buyers of the book. All this for those who have helped make The Landlord's Kit reach the bestsellet list! This is truly a situation where EVERYONE WINS! Don't yet have a copy of "The Landlord's Kit? 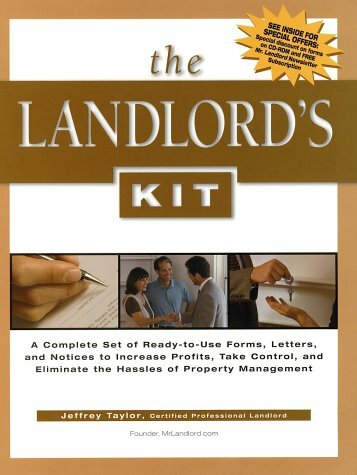 CLICK HERE and put "The Landlord's Kit" in the search field, to order your copy from Amazon.com for only $13.27, almost $6.00 less than retail price! 10) How A Landlord Can Limit Their Lawsuit Liability! Total value of all 10 reports - $100! A $100 discount voucher toward registration fee for our next annual MrLandlord.com Convention, to be held May 15, 16, 17, 2003. More details to follow!. A $100 Value! $200 Worth of Free Gifts! These free gifts are worth $200! And this complete Thank You special Offer is YOURS FREE for helping to make "The Landlord's Kit" a bestseller! I am extremely thankful to the thousands of you who've already ordered The Landlord's Kit, helping to make it reach the bestseller list on both Amazon.com and Barnesandnoble.com. During the last week in November, The Landlord's Kit was the #1 bestsellling "Business and Investing" book on Amazon.com. Once you order your copy of The Landlord's Kit, to show my appreciation, I want to send you all of the free gifts listed above. To receive your free gifts, send an email to editor@mrlandlord.com. Put "Free Gifts" in the subject line and email me a copy of your purchase confirmation or receipt. Or if you prefer, you can fax a copy of your receipt to our fax line - 1-757-424-7963 to get your Free Gifts! After we receive your email or fax, we will make sure you receive all 11 free gifts - special offer valued at $200 - by email. Don't yet have a copy of "The Landlord's Kit"? 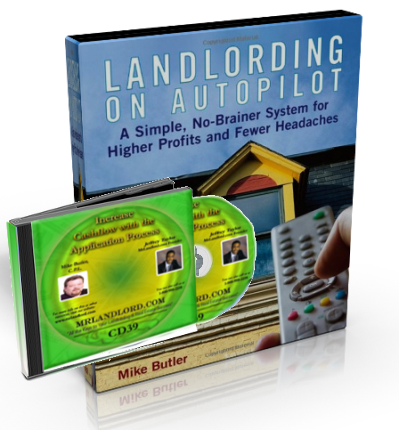 CLICK HERE NOW and put "The Landlord's Kit" in the search field, to order your copy (with over 100 ready to use rental forms) from Amazon.com for only $13.27, (unbelievable value) almost $6.00 less than the already low price! On Amazon.com, you can also "look inside the book" and review the complete table of contents, which list all the rental forms included in this book.